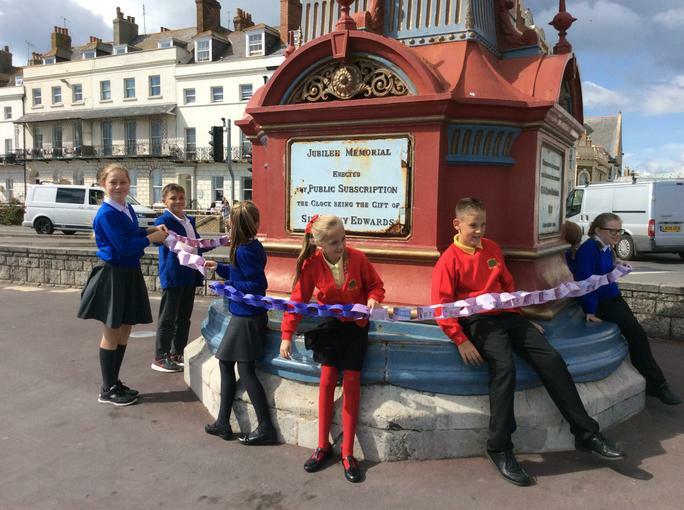 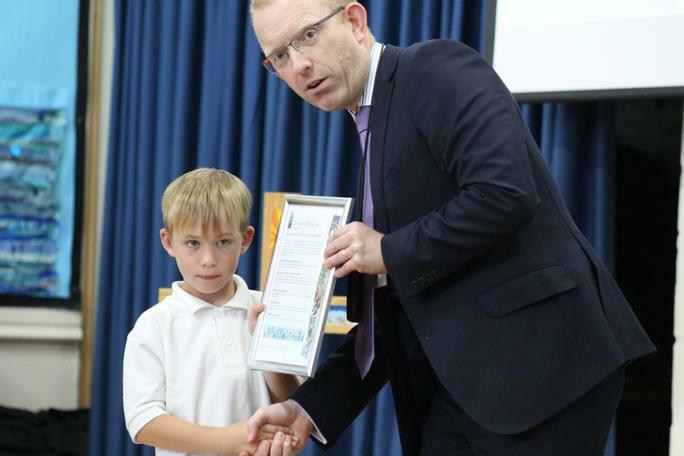 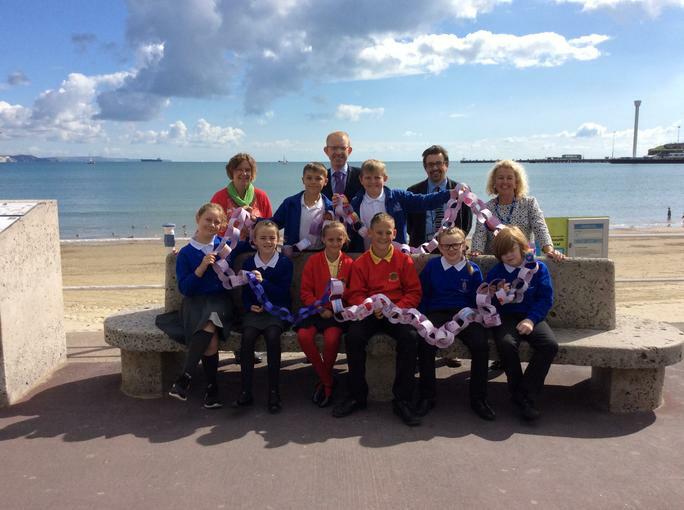 Children, staff and governors from three Weymouth primary schools converged on the seafront to celebrate their joining together as part of the Diocese of Salisbury Academy Trust. 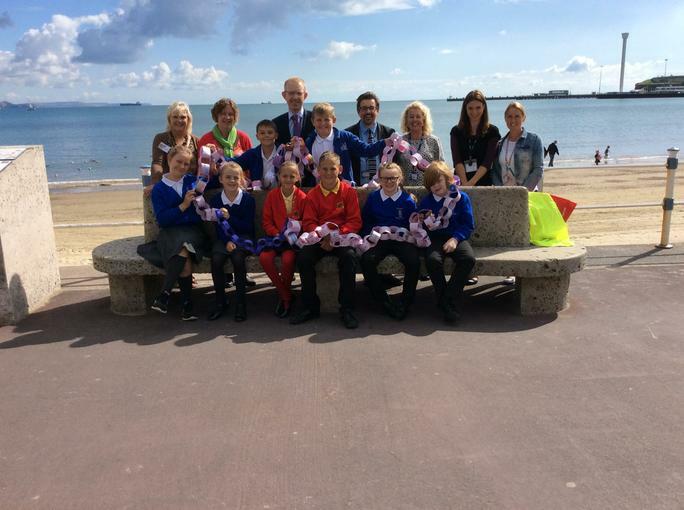 The Trust, made up of thirteen academies, has established the Weymouth Bay Hub in collaboration with the three schools. 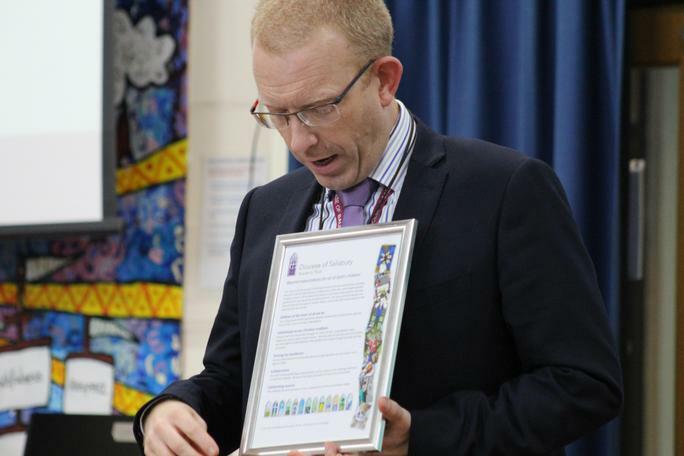 In celebration of the event, Chief Executive of the Trust, Mark Lacey, joined with pupils, staff, governors and parents to lead an event in each school. 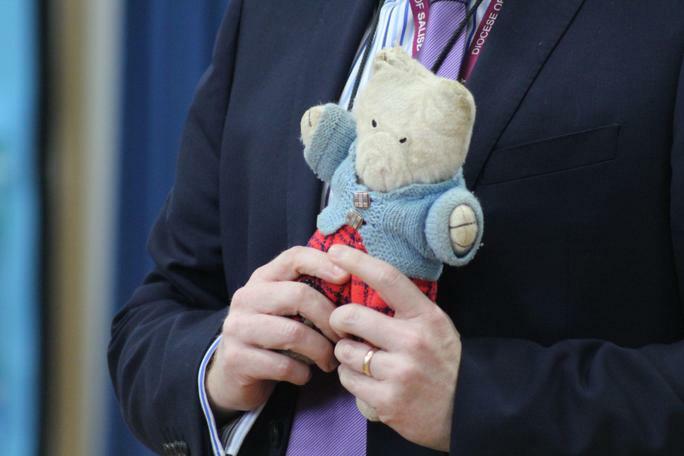 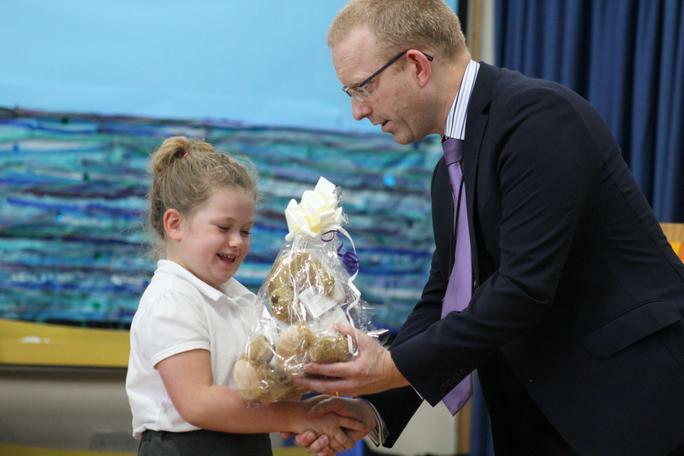 He presented each new academy with a DSAT Bear, a symbol of the care and friendship the schools will experience as part of the Trust, and spoke with the children about what it means to belong to a wider family of schools. 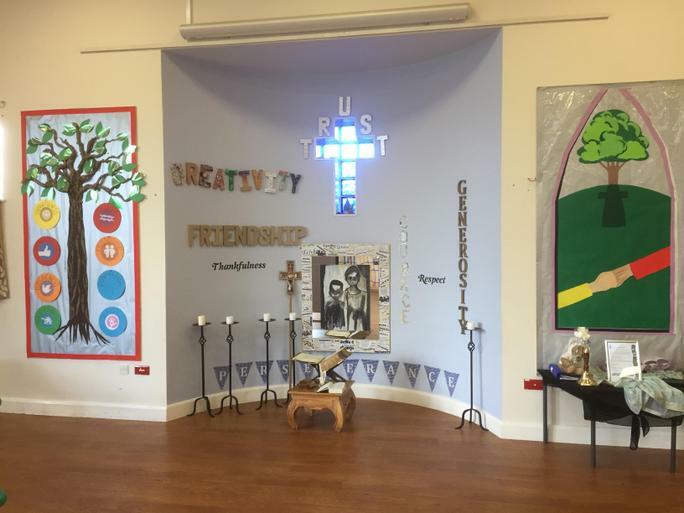 In return, the children, their Headteachers and local clergy, shared the wonderful things about their schools and their anticipation in joining the Trust. 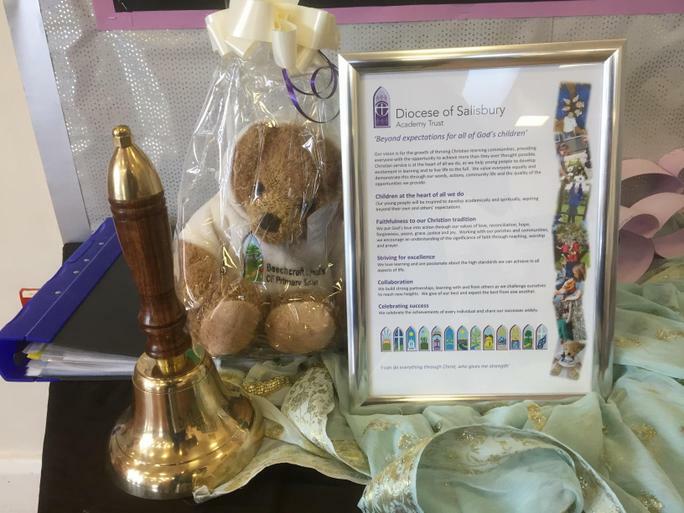 Prayers of blessing were offered by the clergy present. 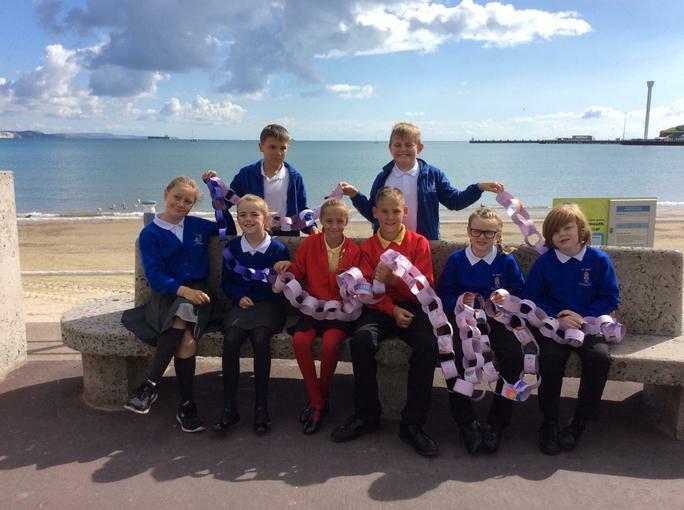 Children in each of the schools had created paper chains with messages written on each link. 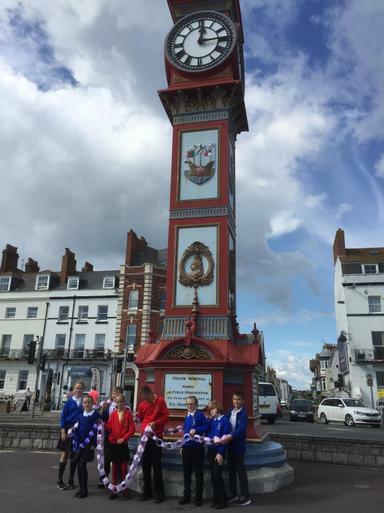 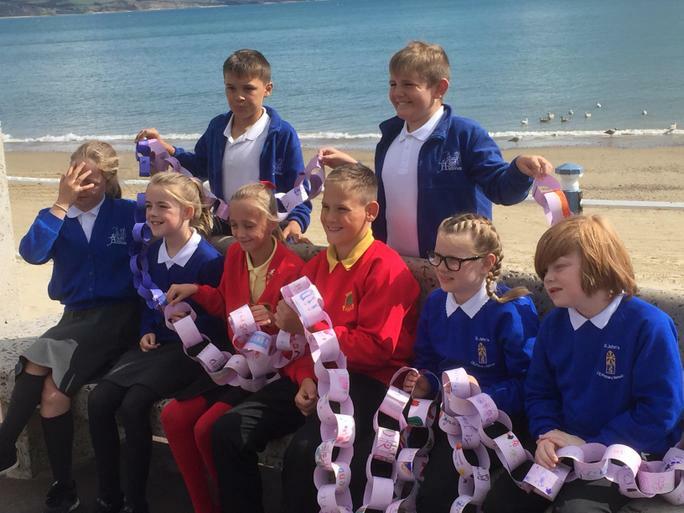 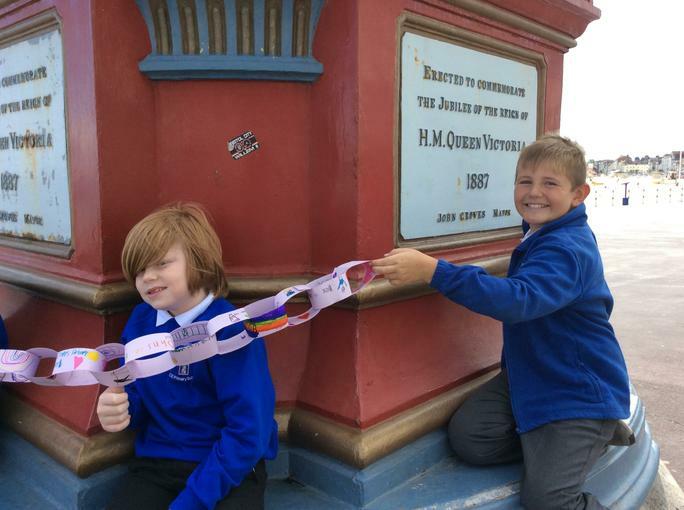 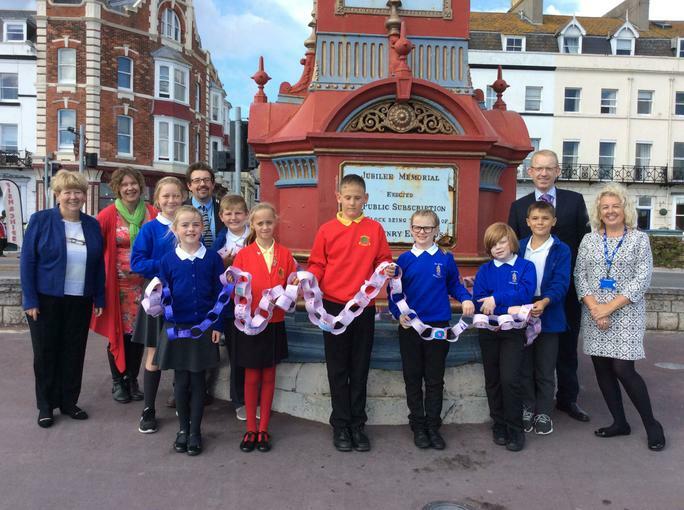 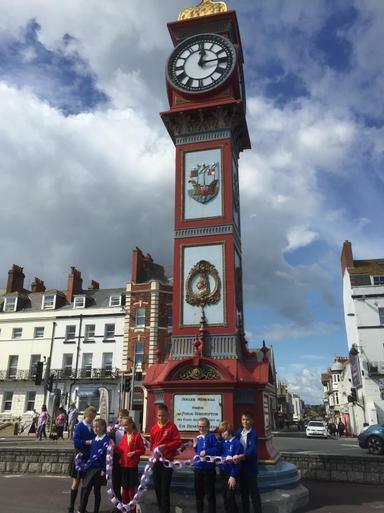 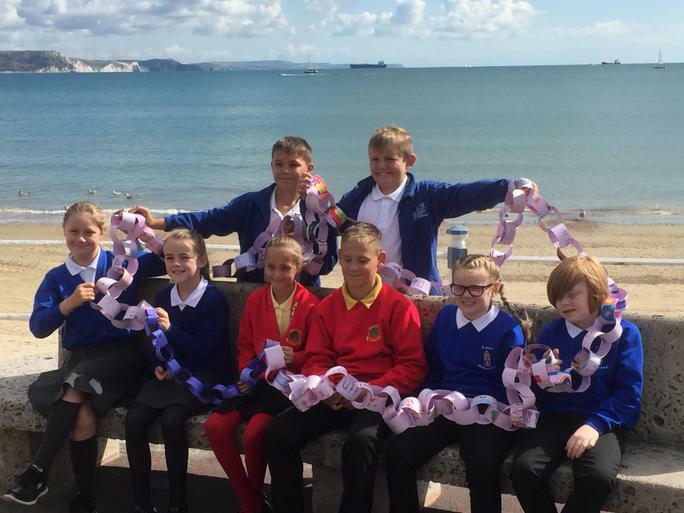 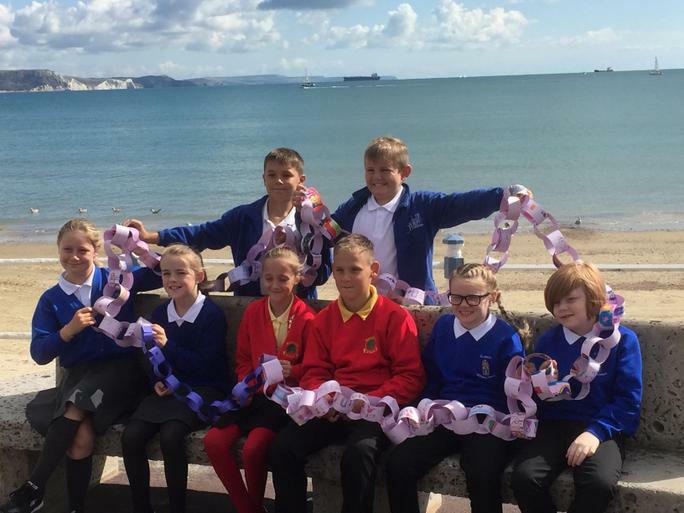 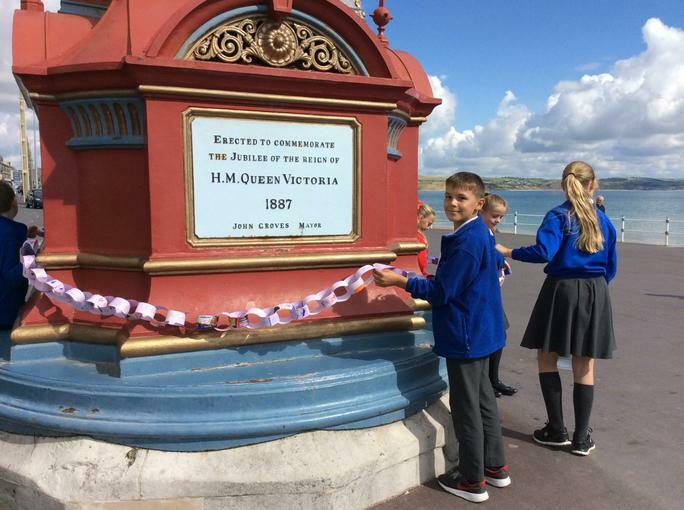 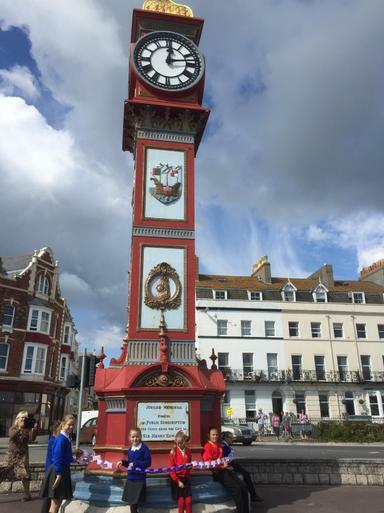 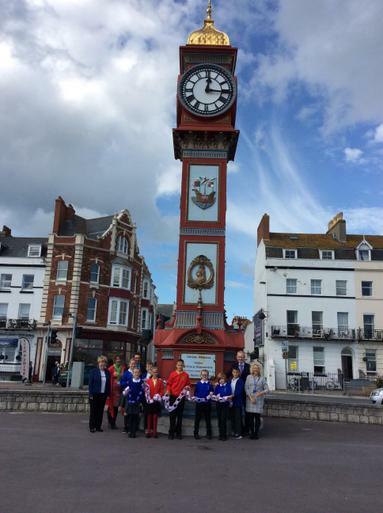 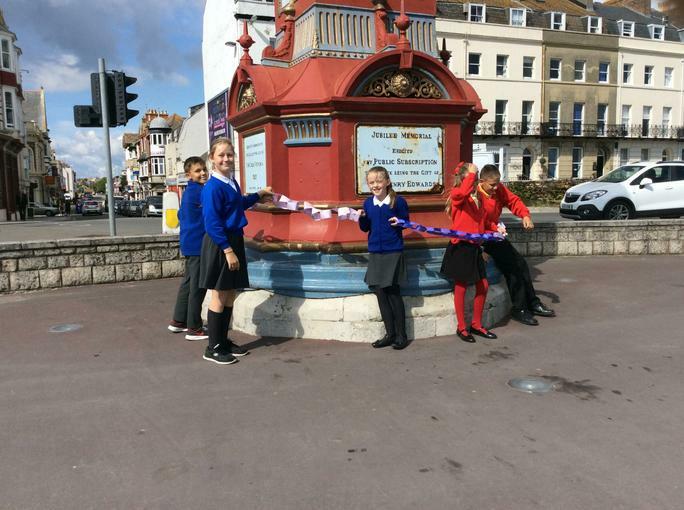 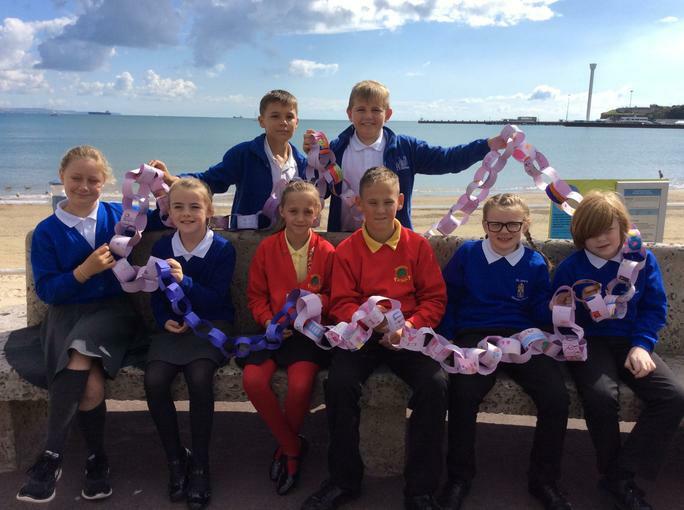 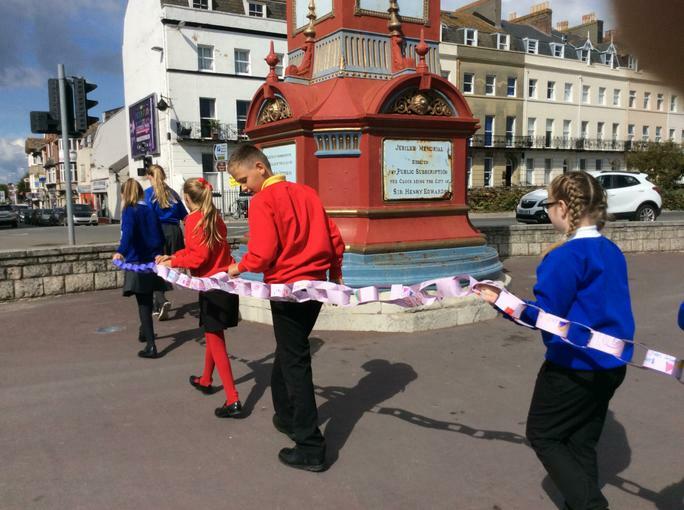 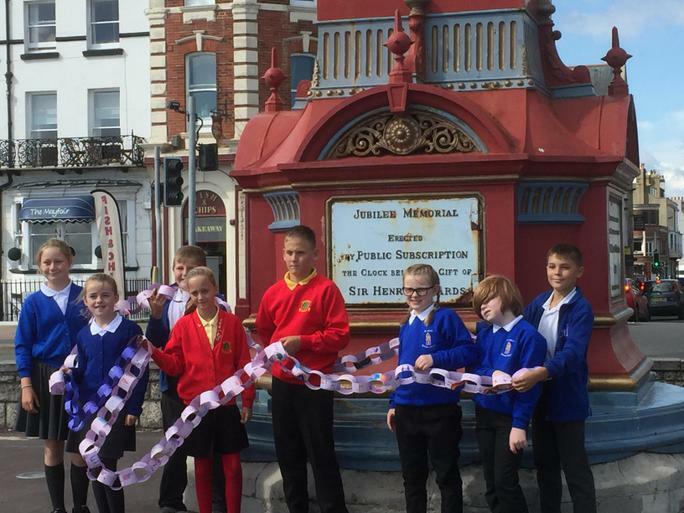 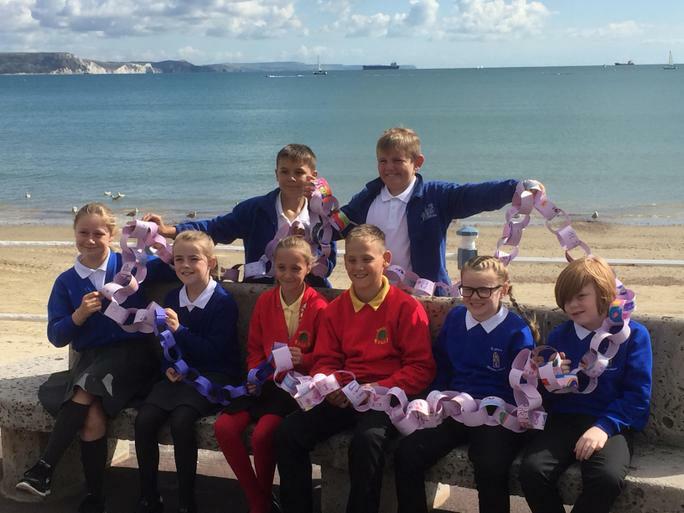 A group of children from each school carried the chains to the clock tower on the seafront where they met each other, exchanged paper chains and took celebratory photographs.